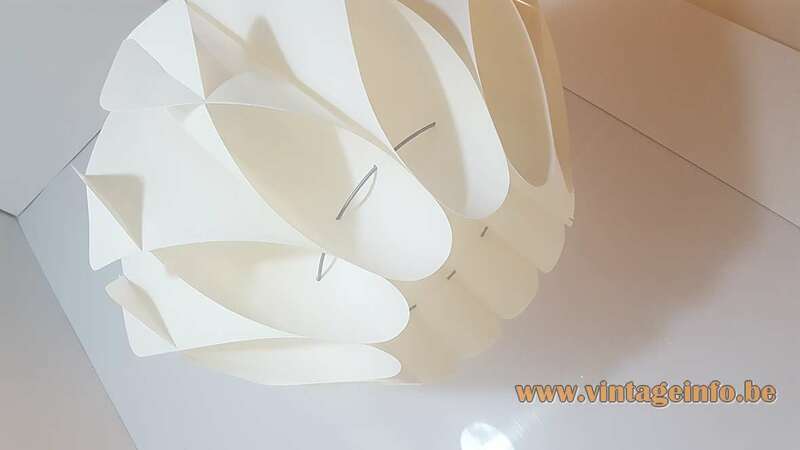 Materials: White folded PVC, Bakelite socket. 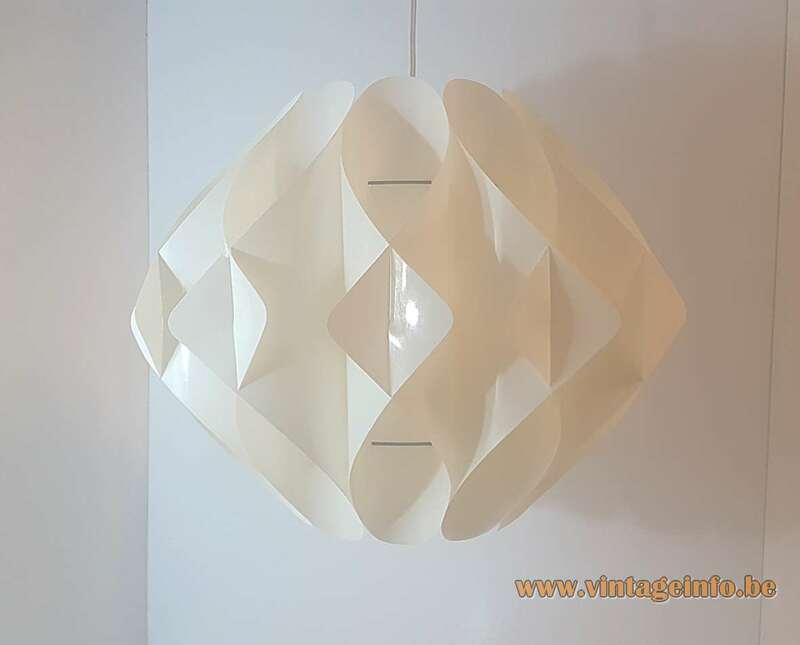 This Butterfly style pendant lamp is made after a design by Lars Eiler Schiøler (1913-1982) in 1968. The maker remains unknown. 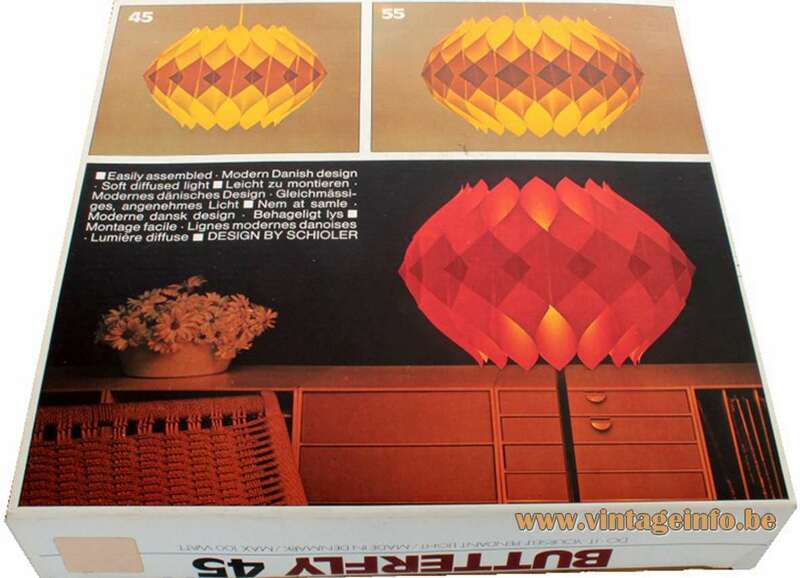 The boxes you see are the original lamps. The Hoyrup company was founded in Christianshavn, Copenhagen, Denmark by Preben Johan Høyrup in the late 1940s. In 1968 Lars Eiler Schiøler became minority shareholder. 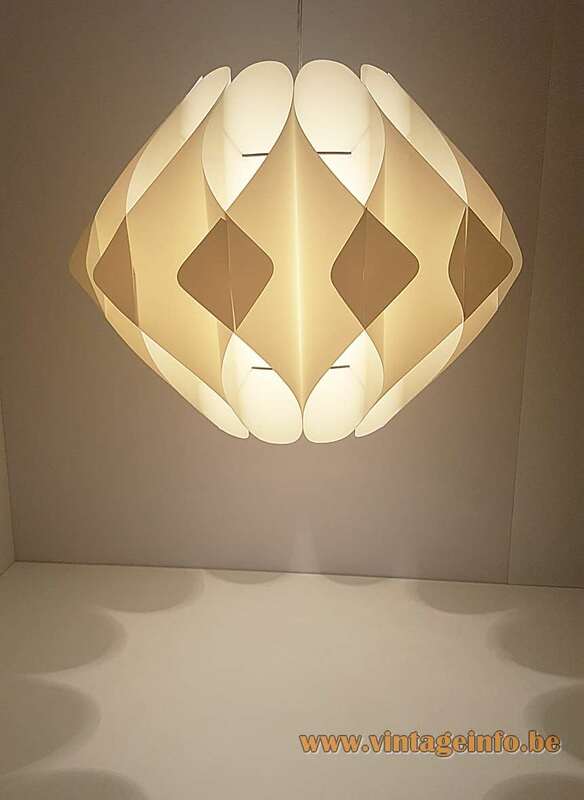 Lars Schiøler designed almost the complete collection from the 1950s until the 1970s for the company. 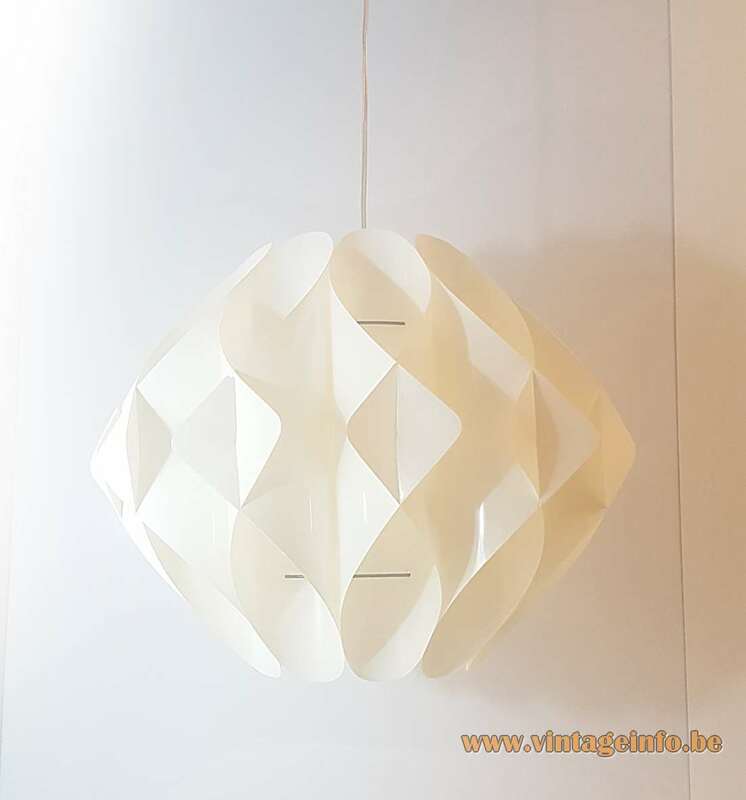 Hoyrup created a wide range of stylish modern Danish lights, that were easily-assembled and therefore easy to ship around the world to more than 40 countries. 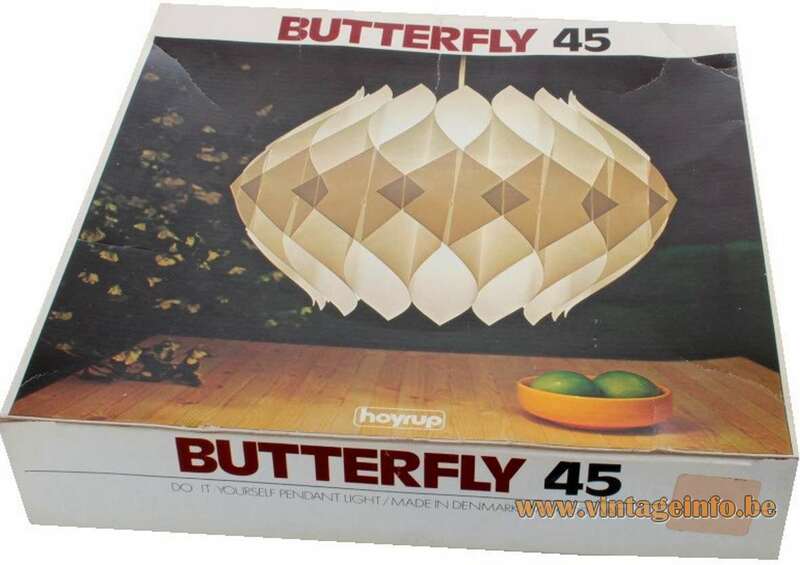 In 1978 the company was split and sold, it became HoyrupLight. It ended business in the mid 1980s. 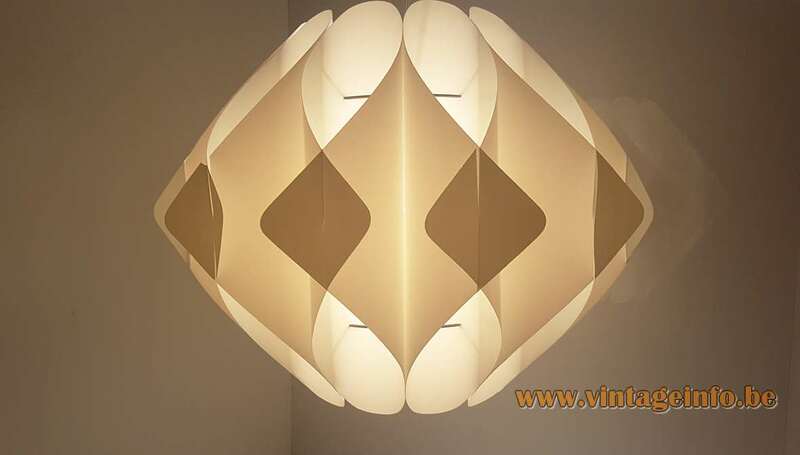 The famous lamps are copied by many companies. Other designers that worked for Hoyrup: Carsten Erik Schiøler, Uffe Gustav Schiøler. 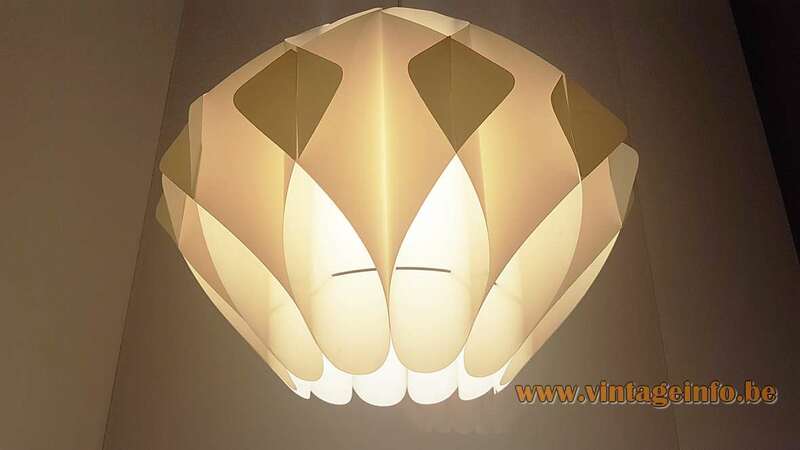 A real Butterfly lamp, but fabricated as lampshade on a wooden floor lamp was used as a prop in the 2017 film The Hitman’s Bodyguard. A comedy about a bodyguard who protects a hitman. The title immediately tells the whole story. Starring Ryan Reynolds as Michael Bryce the bodyguard and Samuel L. Jackson as Darius Kincaid the hitman. 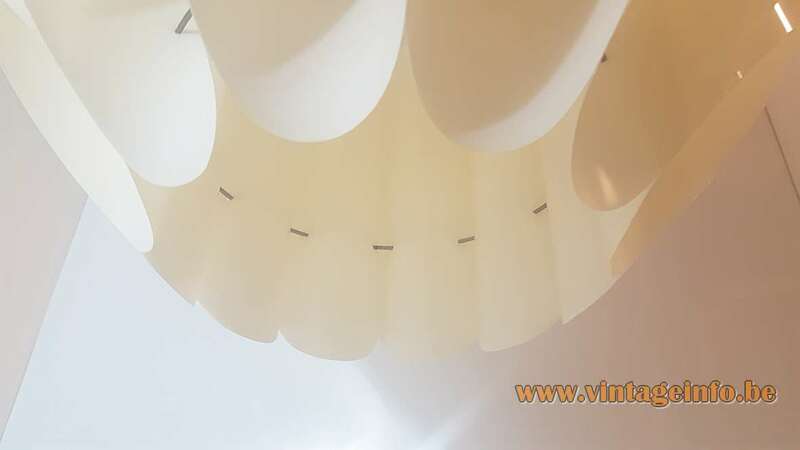 Many thanks to Uffe Schiøler for the enlightening information and many thanks to Marjan from Vintage Drachten for the beautiful pictures and the enthusiasm.